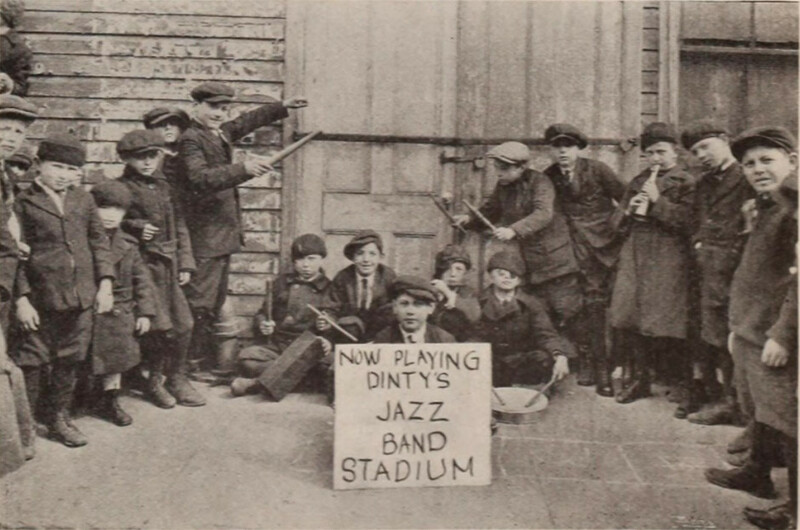 "Samuel Lesselbaum, manager of the Stadium theatre, Brooklyn, N. Y., employed Max Ruddick's juvenile jazz band, a popular vaudeville act, for the presentation of 'Dinty,' Marshall Neilan's First National attraction, during a four-day engagement." 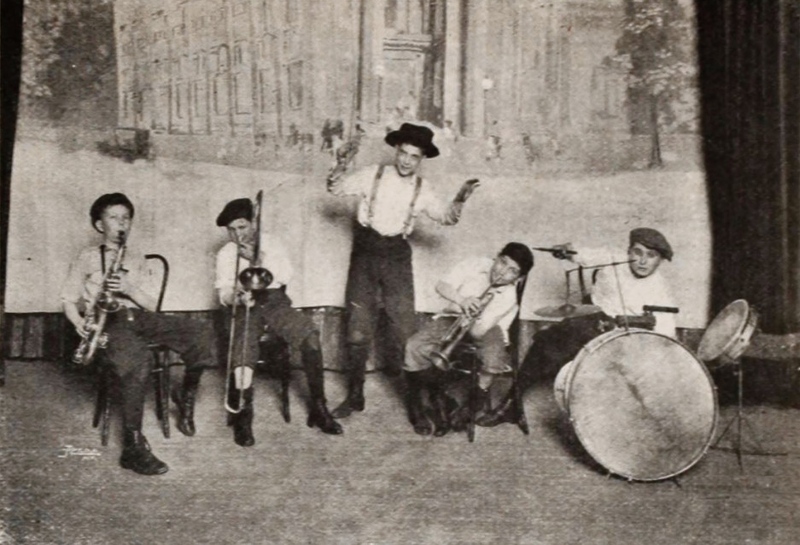 "Youths of the neighborhood heard the organization and organized an amateur jazz band in which tin pans and similar makeshifts served as instruments. "Mr. Lesselbaum distributed candy to the amateur organization and donated a banner which made of it an exploitation unit extraordinary." 102 Chester Street, Brooklyn, NY.